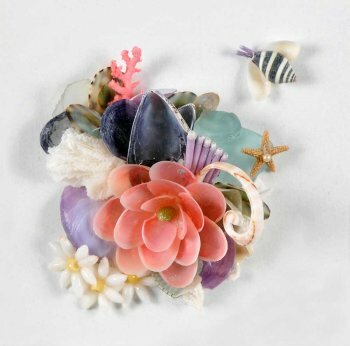 Seashell Flowers, and their construction is the foundation to sailors valentines and shell projects. This is a great opportunity to improve your shell-art skills. Learn how to build flowers and new decorative combinations to use as an arrangement in all your projects. Sandi will have new flowers that will added texture and interest to your work. Materials will include new shells, glue, and shadowbox. Open studio will be available until 4pm each day. Bring your lunch.